Insurance and Business go together. Business is surrounded by risks and Insurance addresses the risks surrounding businesses. People view Insurance as an expense rather than a risk transfer mechanism. While the benefits of insurance to business is so glaring, many are still indifferent about it. This post exist to end what seems to be the bias in people’s minds and elucidate to them the benefits of insurance. The benefits of insurance to your business are many. In general insurance business and some Life Assurance Policies, premium payment is once a year. And at the end of the year if the claim does not crystallize the client is not paid anything. This is how general insurance business operates. You should be aware that you did not buy Life Insurance with savings option. This means that once your policy expires at the end of the 12th month and no loss occurred there is no pay out. Insurance is a risk transfer mechanism based on the law of large number and probability. Insurers collect the money of many and put them in a pool to insure a homogeneous risk. During the period of the policy it is not possible for everyone to sustain losses. At least from the group only a fraction (say 30%) would have claims. The remaining 70% who also contributed to the pool will have their money used to settle those who came for claim. Any balance becomes underwriting profit to the insurer. You can now see that it is injustice to contribute to the pool and seek to withdraw your contribution after expiry. This negates the principles of insurance. Insurance is a risk transfer mechanism where one person called the insured transfer his risk to another called the insurer in exchange for consideration called premium. The insurer is under obligation to pay the insured if he sustain a loss. Insurance is a silent product. You don’t know what you have until there is a loss (claim). It is not like opening a bank account that you go from time to time to withdraw your money or admire how much money is in your account. It is a totally different ball game. Your policy is only tested when there is a claim. You might be looking at your policy document as an insignificant document but wait until you have a claim. Provided the policy is still running and premium fully paid you get your claim settled pronto. What is the usefulness of Insurance to Business? To an entrepreneur the word bottom-line is the most important word. It ensures he get paid, it ensures he is there for years to come, it ensures his doors remained opened for business year in year our. Bottom-line is the profit made during business transactions. If there is profit, the entrepreneur is guaranteed of another year of smooth business operation. Yet, if not then it would be a turbulent year. How does Insurance assist in preserving the bottom-line? The entrepreneur confronts business risks daily, weekly, monthly and yearly. It would interest you to know that any of the risks can become a claim. The entrepreneur would be in serious trouble if the claim eats into his bottom line. For example, if fire gut the main factory of a manufacturing company the outcome will vary. First, if the entrepreneur has insurance he would just call on them. They will assess the claim, exchange correspondences and documents. After couple of weeks or months, the claim would be fully settled. The entrepreneur would re-build the factory and move on. The money to re-build will not come from his over-stretched budget. It would come from the insurance company. Furthermore, during the period of no business because of the fire if he has Consequential Loss Insurance he would get compensated. All his Fixed Cost when the business was down will get paid until the factory is up and running again. On the other hand, if he has no insurance, he would have to dip his hands into his pocket to fix the damages caused by the fire. It is not going to be an easy task at all, it would affect his funds and savings, it would erode his profit and so on. His strategy would be to pass on the expenses to his customer by increasing the price of his products. That can spell doom on his competitive position in the market. Many customers would leave him for his competitors’ due to the price change. Save yourself the heartache, get your insurance policy now. From the example in 1 above, the factory that got engulfed in fire kept running. Have you ever asked yourself why banks branches still open after many robberies? The bank never shakes but rather keeps waxing great. The truth is that all these banks have Money Insurance and other insurances. If there is a robbery, all the bank needs to do is notify his Insurance broker or Insurance company and the rest would be history. There are factories in this country that have folded up due to lack of Fire Insurance. Many of them could not bound back after major fire incidents. It is somehow hard and capital intensive to make provision for disaster. The best thing to do is to insure the risk. Insurance gives peace of mind to the policyholder. Government agencies need more and more companies to have some form of insurance as a rule for accreditation. (Read Compulsory Insurance In Nigeria for more). To practice as a professional (e.g. Legal, Doctor, Accountants etc) in many fields you need Professional Indemnity Policy. To a large extent you can now see how useful insurance is to your business. Do not cheat yourself, do the right thing today. This post written be me first appeared on https://awajis.com/blog/insurance-your-business/. Go there and read more. 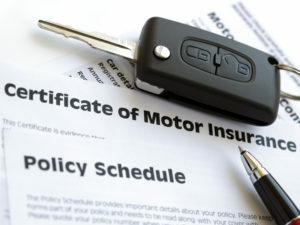 Certain terms in your insurance policy document, be it motor insurance policy document or others are determinant factors as to if your claim will be paid or not. This post will highlight only four of such. You have a Comprehensive Motor Policy and are so proud of yourself. Your mind is at rest and all seems good. But, do you know that there are certain terms in that your policy document? Terms your insurance agent might not be patient enough to show you? One thing about such terms is that they are no threat unless there is a loss and you need to make a claim. You will feel betrayed and disappointed to be told that certain terms are standing between you and your cheque. Excess is the part of each and every claim you as a policyholder is expected to bear. Excess makes you the policyholder to be a co-insurer on the policy. It instills into you, the duty of care i.e. once you know that you are to bear a certain percentage of any claim, it is natural to act with due care. Excess is a big part of insurance and it is available in most policies except for liability policies. Most insurance officers/marketers don’t like talking about excess because it discourages people from finally releasing their cheques. However, it is better to educate your prospects/clients about it so that they are prepared for it beforehand. They will thank you in future for letting them know rather than quarrel with you. Such act is a reason why most people complain that insurance people are fraudsters. They will not let you know the bitter side of the sweet tale they are telling. N200,000 – N50,000 = N150,000. On the other hand, if the claim is N1,500,000 the position will be different. N1,500,000 – N75,000 = N1,425,000. It is extremely rare to find a motor vehicle policy without an excess imposed. Nevertheless, the excess can be removed by applying for Excess-Buy-Back. .....and please do leave your comment here! The local parlance, ‘Police-Let-Me-Pass’ is the term used in Nigeria to denote Third Party Motor Insurance Policy. This mandatory form of insurance remains the most enforced out of all the compulsory insurances. Year after year, motorists renew their vehicle particulars to be on the right of the law. Some people have formed the habit of renewing all their vehicle papers including their vehicle insurances at the licensing office. This habit is not a bad one but surprisingly it might turn out to be, this is because some licensing agents embark on shady deals regarding motor insurance covers. If care is not taken you might get fake insurance papers, so exercise caution when dealing with them. We shall be talking about How To Confirm The Authenticity Of Your Insurance Certificate in our subsequent posts. Watch out! It is important to note that your Third Party Motor Insurance is more than ‘Police-Let-Me-Pass.’ It will save you a whole lot of heartache and might cause you a tremendous heartbreak if absent. It might seem so insignificant, but there is more to it than you think. This post is written to enlighten you more about your Third Party Motor Insurance. Out of the three, the last one is the minimum insurance required by law for every vehicle owner – which is the focus of this post. What Is Third Party Motor Insurance? Third Party Motor Insurance is one of the five compulsory insurances in the country, made mandatory by the Insurance Act 0f 2003. To know more about Compulsory Insurance in the country please read, Compulsory Insurance In Nigeria: What You Must Know? Third Party Motor Insurance is the minimum insurance cover that every car user and/or owner must possess. Legally, you are not expected to drive any vehicle on any public road without insurance. The policy provides indemnity to Third Parties for death, bodily injury and property damage as a result of accident with the insured’s automobile. The insured in this case if the vehicle owner. Under this Act, the penalty for non-compliance of any motorist or driver is N250,000 or one-year imprisonment or both. Note that compliance with this act is total i.e. after purchase it must be renewed at expiry every year. An expired/unrenewed insurance is like no insurance. What is the fate of a person who was hit by a vehicle that does not have insurance or a hit-and-run driver? The National Insurance Commission determines the level of the fund and proportion of compensation paid in respect of any claim. What and Who Is Covered? Your lawyer’s fees for your legal representation or your driver’s at any judicial proceeding arising from an accident which may give rise to a claim under the policy and any other expenses. Exclusions – What and Who is not Covered? Under this policy, you should be aware that this policy does not cover you or your vehicle. Like the name implies, it covers only third parties. Under the Act, a Third Party is someone other than you, your relatives or employees. In a contract of insurance, you are the first party, your insurer is the second party and any other person beside you and those mentioned earlier is the Third Party. If you need a motor insurance that covers you and your vehicle, then go for a Comprehensive Motor Insurance. 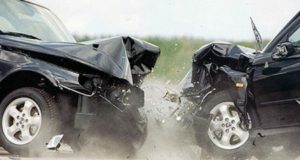 More on this in our subsequent post: What Should I Buy: Third Party Motor Insurance vs. Comprehensive Motor Insurance. ‘Landlord or Tenant: Who Should Insure the Building?’ was a post that dealt with the issue of insurable interest in property insurance. We concluded that both the landlord and the tenants are obliged to insure the property in their individual capacities. One policy that is designed for the purpose of assisting the landlord and/or the tenant with their insurance rights is the House owners/Householders Comprehensive Policy. The House owners/Householders Comprehensive Policy is a policy that is effected by the landlord (owner of the building) or tenant(s). The policy applies to both the buildings and the contents. This policy is a package policy due to the fact that it combines the elements of four different insurance classes – fire & special perils, burglary/theft, public liability and personal accident. The policy is divided into different sections covering different risks. This fact makes the policy the best cover for your home. The policy can be tailored to cover either a landlord or a tenant, so your status is not a barrier. The policy is the most suitable for private dwelling houses. The policy although suitable for private apartments, it can also be applied to office contents of professionals like lawyers, insurance brokers, architects, accountants etc. who use part of their residential buildings to practice their trade. The policy is elaborate in the scope of cover, for example, if an aircraft or mast should fall on a building and cause it to be damaged, the policy will respond. Content include household goods and personal effects which include jewelries, articles of gold, silver or precious metals, gem stones, work of art and so on. This section covers loss or damage to properties by all elements from section 1 above. It also covers loss or damage to properties by Theft (either by strangers and/or legal members’ theft). This section covers the cost of sourcing for an alternative accommodation as a result of the building become inhabitable due to a claim. It also covers loss of rent precipitated by a loss. This section covers liability or legal responsibility to Third Party for death, bodily injury or damage property. Third Party does not include the insured’s family members and domestic staff. For example, if a visitor comes to your house and during the time he was there, your ceiling fan fell on him and he was injured in the process, the policy covers it. Furthermore, if he sues you for damages as a result of the incident, the policy covers the cost of the litigation and the judgement. The limit of liability could be up to N1,000,000. Landlord or Tenant: Who Should Insure the Building? As a landlord, have you taken time out to think about the risk your property is exposed to in the custody of your tenants? There are different kinds of tenant: the careful ones and the negligent ones. Many buildings have been set ablaze by the negligence of tenants, and in such cases, the tenants are too financially incapacitated to bear the repairs of the damaged building. The landlords, in such cases, are left to lick their wounds. On the other hands, as a tenant, what measure do you have in place regarding your apartment? If the landlord gets convicted that the fire was due to his fault, he will be responsible for fixing the building and will pay the tenant damages and also his inconvenience e.g. cost of getting an alternative accommodation, loss of rent and so on. If the tenant is convicted of causing the fire as a result of his negligence, he would be held responsible for fixing the landlord’s building. If none of them could be convicted of the fire or found equally liable, then they both will have to take care of the repairs of their properties themselves. Now, the million-dollar question begging for an answer still is: Who should insure the building? The answer is both of them. The landlord and tenants both have insurable interest in the building differently. The landlord can insure the whole building while the tenant can insure his properties within the building and also the legal liability that might arise as a result of loss/damage to the building. Now, what is the term Insurable Interest? Insurable Interest is the legal right to insure arising out of a financial relationship recognized at law, between the insured and subject-matter of insurance. What this mean in essence is that for one to insure a property, there must be a relationship with that property. The relationship must either be legal or financial. This means that the owner benefits from the continual existence or suffer deprivation from the loss the subject-matter of insurance. Watch out for my next post on Insurable Interest. Now with that knowledge, let us now analyze in details roles of both landlord and tenants regarding insurance. He owns the building and if there is fire incident he loses everything. That is why he needs insurance to protect himself from financial loss as a result of fire damage to the building. A landlord, therefore, needs to insure more than the tenants because he has a whole lot to lose compared to the tenants. He should not depend on court ruling to recoup his investment because tenants do not have the financial muscle to pay in such case. He should insure for his safety. He occupies part of the building and if there is fire incident he loses his properties. The landlord sued by the tenant for negligence and will pay if found guilty. He needs insurance to protect himself against such legal liabilities. A tenant needs to insure too because his property and the legal liability over the landlord’s property are at stake. Robbers Stole My Car! Will My Insurance Help Me? I recalled an incident that occurred some years back. It happened that a young man was robbed on his was from a party. The robbers snatched his car, and he was left to hitch a ride back home. In anger, he notified his insurer of the incident and demanded a replacement car since he has insurance. His insurers sympathized with him for the loss and to his greatest shock politely informed him that the claim would not fly because his car was not covered! Out of frustration, he decided to sue his insurer, but he lost the case. The question now is: Why was the man’s claim rejected? Why was his car not covered, since he possesses insurance then he should be compensated? This is the minimum insurance yet. It indemnifies the policyholder for death, injury or property damage to third parties as a result of accident due to the use of the policyholder’s vehicle. 1. The legal liability of the policyholder to third parties as a result of damage to the property of such third parties and any injury or death to third parties from using the vehicle. 2. The legal fees for the legal representation of the insured or his driver at any judicial proceedings due to an accident and any other expenses of the policyholder. This is a type of cover that goes a step ahead of Third Party Only Cover. In addition to all the cover provided in Third Party Only, it is extended to protect the policyholder’s vehicle for loss as a result of fire and theft. 1.The legal liability of the policyholder to third parties as a result of damage to the property of such third parties and any injury or death to third parties from using the vehicle. 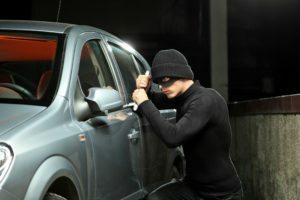 3.Loss of or damage to the policyholder’s vehicle and accessories as a result of fire, external blast, self-ignition or lightning, burglary, housebreaking or theft. Life Insurance is all about protecting your future and that of your family/dependants. Life Insurance nowadays is more fashionable because there are many products that involve benefits being payable even before death. There are products for family, kid’s education, capital accumulation, thrift savings plan and so on. No matter the type of cover you choose, factors ranging from your needs to your age and much more will determine your premium. This post is coming with a purpose of enlightening you on how to purchase a cover that will be of benefit to you. Are you single or married? Do you have kids and how many? What are your running expenses? Can you afford to keep paying the premium? It is essential to answer these questions because life insurance involves premium payment which is periodical. You are to estimate your living expenses and add the insurance premium and see how it goes. It is important because once you start should be able to sustain your payment without which you will not be able to reap your full benefit. Also answering these questions will go a long way to help in this next step below. There are different life insurance covers available you can choose from. Here are the basic plans: Term assurance, whole life assurance and endowment plan.